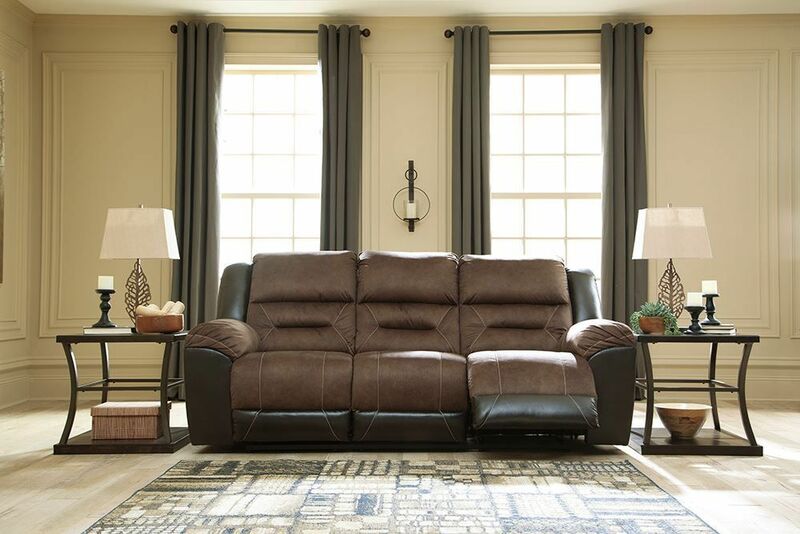 Your day just got a whole lot better with the Earhart Chestnut Reclining Sofa. 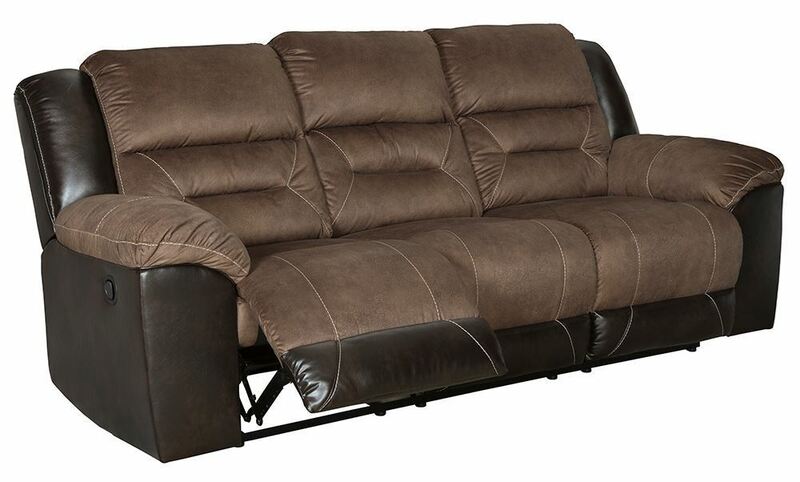 Ease back into the luxurious, soft feel of the suede-like fabric and relish in elevated, supportive comfort. 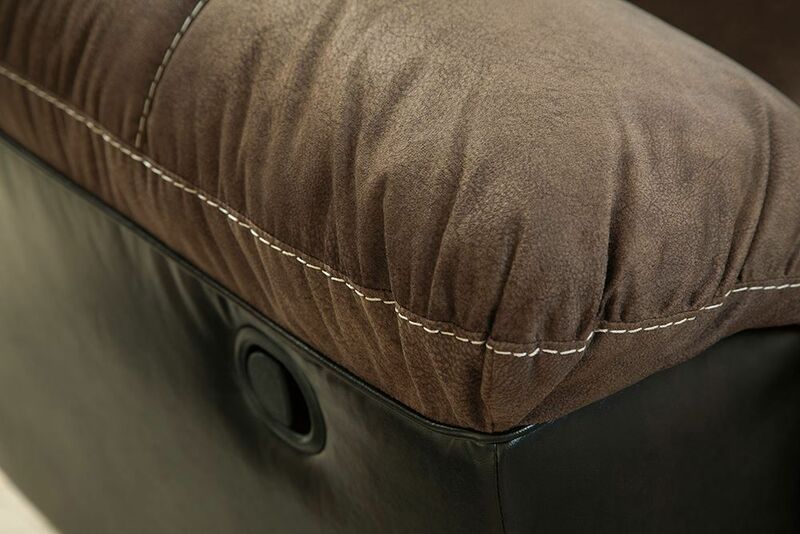 Faux leather covers the outside parts of this piece, for a modern, striking appeal accented with contrast jumbo stitching found on the cushions. 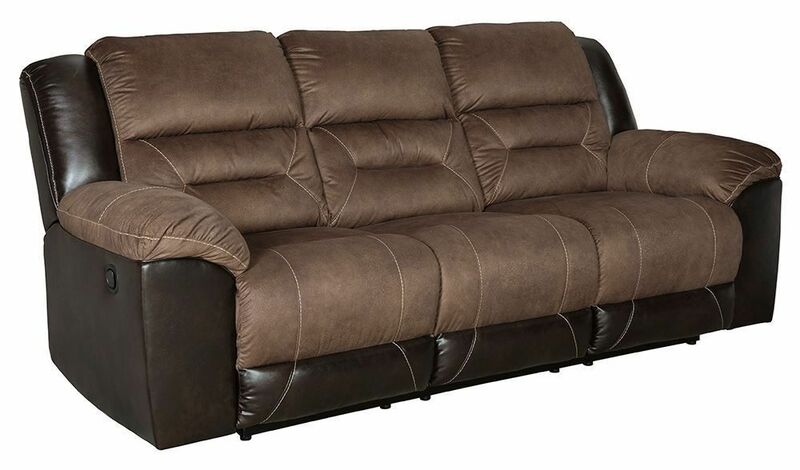 The deep seating and tall backs promise to cater you with utmost comfort, beckoning you to relax and unwind in pristine style. 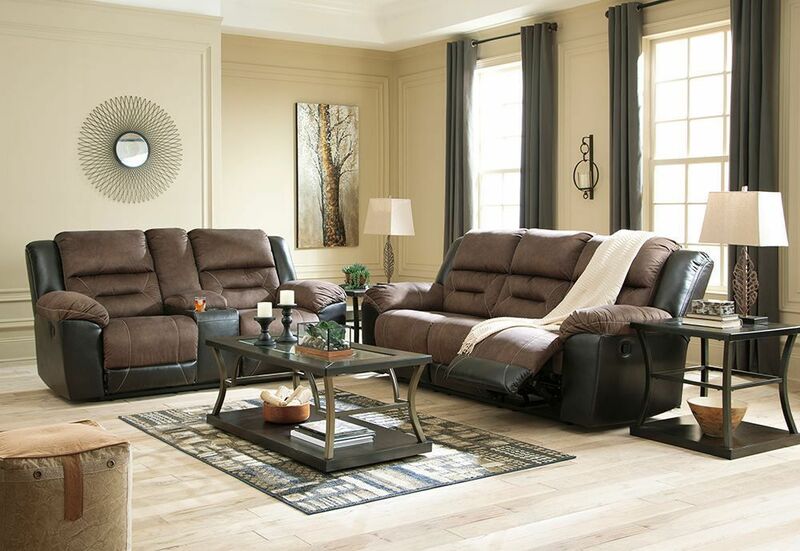 Your day just got a whole lot better with the Earhart Chestnut Reclining Sofa.